MP2 stands for Mineralogy, Pegmatology, and Petrology. Headquartered at the University of New Orleans, our Research Group is dedicated to the advancement of knowledge and research in the classical fields of Geology, i.e. Mineralogy and Petrology. 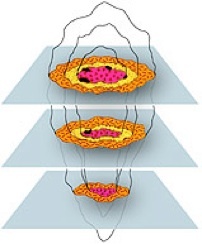 We further specialize in Pegmatology - the investigation of pegmatites, their mineralogy, paragenesis, and mechanisms of formation. our publications, and ...find out more about the world of MP2! 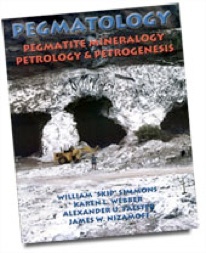 The MP2 Research Group has written the very first textbook on pegmatites, Pegmatology: Pegmatite Mineralogy, Petrology, and Petrogenesis. Full of images in color, and black and white, diagrams and charts, the text is written for the mid-level student and enthusiast. Used as the course book at the Maine Pegmatite Workshop, it is full of information to aid you in your study of these geological structures...find out more at Rubellite Press.